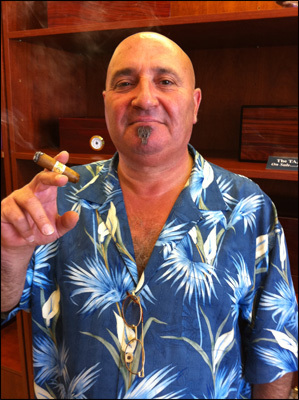 Buying cigars on the Internet affords us smokers many advantages. With the lure of unlimited selection and prices below MSRP, online cigar vendors are harvesting customers and prospering. But what does that mean for the future of our local cigar stores? Is it their end or can they survive in the age of Internet commerce? I have spoken to a number of cigar storeowners and online vendor reps, and would like to share some of my observations regarding the future of B&M (brick and mortar) cigar retailing. Buying cigars online has huge advantages. First of all, it should be said that everyone who sells fine cigars does so for the love of the product. The single commonality between Internet vendors and B&M owners is that they love the smell, feel, and flavor of fine cigars. So much for the niceties. Although the simple love of cigars might drive some to own a cigar store, online vendors are also driven by big profits. To this end, more and more online vendors are manufacturing their own brands and selling them “direct to consumer”. This increases their profit margins and lowers the retail price of the product (See The Future of the Cigar Business). A glance at an online vendor’s catalog will illustrate that the vast majority of cigars being offered are “house brands”. But this practice also benefits the consumer. It enables us to buy great cigars (manufactured by the best cigar makers) at prices well below comparable brand name products. Additionally, by selling an assortment of single cigars, called a bundle, online vendors circumvent price fixing mandated by cigar makers. When a vendor sells an assortment of cigars of differing value within a bundle, the price of a single stick becomes ambiguous and hard to determine. In an effort to answer this question, I spent some time speaking with local B&M owners in the LA area and would like to offer some observations. 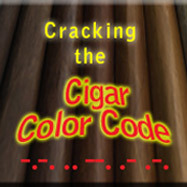 Buying cigars online is a solitary experience. You speak to no one, don’t get out of your chair, and never get to see, smell, or touch the cigars you are buying. Those of us who love cigars have a need to be close to them. There’s no better feeling than having a fine cigar in your shirt pocket on the way to a smoker-friendly event. Taking that cigar out of it’s holder, smelling it, feeling it, lighting it and smoking it is pure heaven to a cigar lover. And it is precisely that kind of feeling I get when I enter a cigar store. First the wonderful cigar aroma hits my nostrils, I then feast my eyes on racks and racks of beautifully decorated cigar boxes filled with hand made jewels of tobacco. It’s enough to make my mouth water just thinking about it. This is an experience we can only get first hand. The physical surroundings, the sights and smells of a cigar store/lounge cannot be replicated over the Internet. Plus, there are always new cigars to try, and a good B&M will have plenty of new sticks to choose from. Even if I’m familiar with all the brands being offered, there is always a new vitola to experience or a favorite cigar to revisit. It is this kind of spontaneous environment that makes cigar-shopping fun. It’s like being a kid in a candy store. Plus cigars always seem to taste better in a cigar lounge. 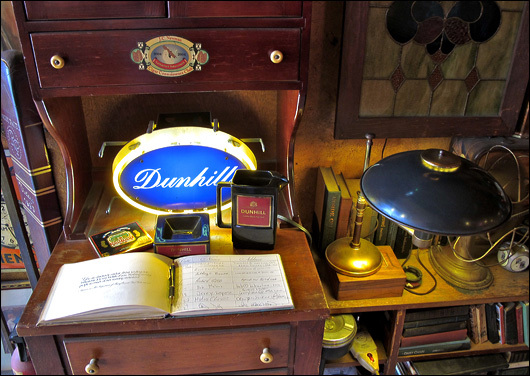 There’s something about that environment that enhances the smoking experience and makes it special. Imagine removing a gourmet meal from the ambiance of a fine restaurant and taking it “to go”. I just don’t think the food would taste as good on the plates we use everyday. Buying cigars can be a visceral experience. 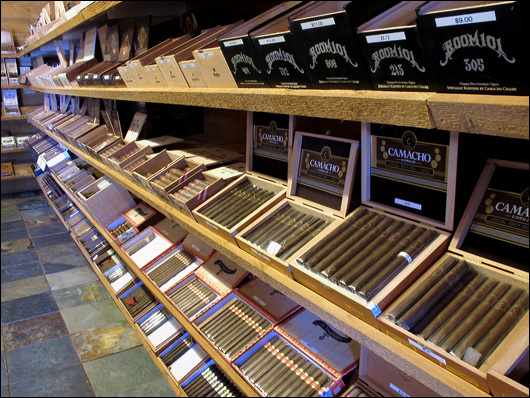 There are many factors that determine the success of a cigar store. Each owner will have his/her own idea of what success looks like to them, but the owners I’ve been speaking with have a unique and healthy view of success, and it’s not about the bottom line. For many of us, keeping life simple is the key to happiness and it is this kind of attitude that brings satisfaction to many cigar shop owners. 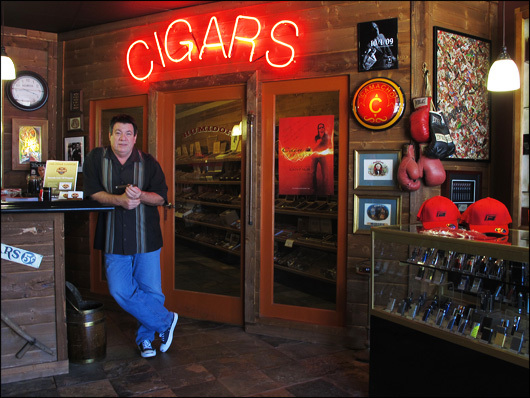 Rather than getting rich, owning a cigar store is more about supporting themselves in a business they love. One owner gave me a bit of advice. He said if you want to get rich, don’t open a cigar store/lounge. He went on to say that in this endeavor, the best one can expect is to earn a modest salary, but that being his own boss, in a business he has a passion for, is reward enough. These are the feelings I have heard from many cigar shop owners. It’s not about the money; it’s about the love of cigars. And it is in this spirit that I urge everyone to frequent cigar shops whenever possible. They sell cigars because they love to, and we should support them in any way we can. I rarely leave a store without purchasing a handful of cigars. Sure, I could have gotten them cheaper online, but by shopping locally I am supporting a diminishing community at a time when our liberties to enjoy cigars are being legislated into oblivion. 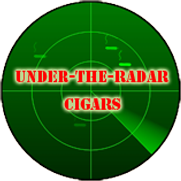 I cannot stress enough, the need to promote and frequent our local cigar stores and to keep them around as safe havens for our cigar smoking pursuits. Nice! I hartily agree. While I do buy online, i always make sure to buy in a store too. Gotta keep hope alive! My issue with purchasing online is that if I want a few of a particular cigar, I need to purchase at least 5 and sometimes 10. Since I tend to smoke cigars on the weekend, large quantities just hang around. I prefer (at this admittedly early stage) to purchase 3 or so of the cigars that I like and I also like to support the local economy. Some of their pricing does reflect a mark-up (like for humidors) that I consider to be excessive, but, I will just purchase large ticket items online. I love going to my B&M. Always great conversations both cigar and non-cigar. That being said, living in NY with the 75% tobacco tax per cigar and then the 7.25% sales tax on top of it all makes it tough to make all my purchases there. I agree with Mike above. I have come to know alot of people at the several B&M stores that I frequent. And there is nothing like the experience of walking into a fine humidor and seeing, touching, and especially smelling all the different cigars. Call me an impulse smoker or buyer but I always find something new and flavorful at the stores and I just have to buy it and smoke it almost immediately. I also like to support my locale economy. If I decide to buy a whole box of cigars I might possibly go online to get the best price but for a handful of cigars I only buy at my locale B&M.